Today marks the South Korea vs. Algeria World Cup match (South Korea = Korea Republic), and while the two teams are pretty evenly matched (because they’re pretty evenly awful), we’re more interested in which country would win on the road in our World Cup of Cars series. Playing for South Korea is the South Korean-built Kia Picanto (although it’s known as the Kia Morning in South Korea), a city car that has been a staple of Kia Motors since 2004. 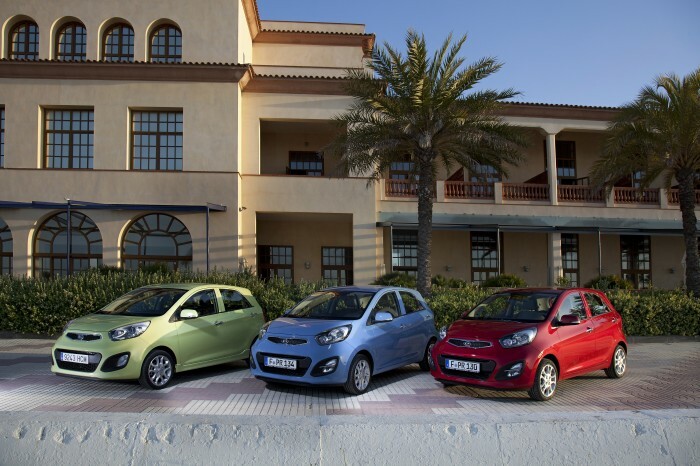 The Morning/Picanto has also had great success in Europe and was even named the most reliable car in the UK last year. It’s always handy to have a reliable player on the team, especially one that is also so efficient and stylish—just check out the fun colors you can choose among. The Alergia-built Renault Symbol is a formidable challenger, however. The supermini car is now in its third generation and offers an array of safety technologies, including anti-intrusion strengthening, rear parking sensors, and lateral airbags. Like the Picanto/Morning, the Symbol is the epitome of (a symbol for?) efficiency, but it lacks in the fun, youthful style that Kia’s urban car brings to the table. And so, in the South Korea vs. Algeria match, it is South Korea and the Kia Picanto/Morning that come out on top. But who will win the actual South Korea vs. Algeria World Cup match? Find out today on ABC at 3pm EDT.